Home - Lyncean Technologies, Inc. The Lyncean Compact Light Source (CLS) is a breakthrough technology that addresses the increasing demand for access to high quality X-rays by offering the possibility of a synchrotron beamline for home laboratory applications. 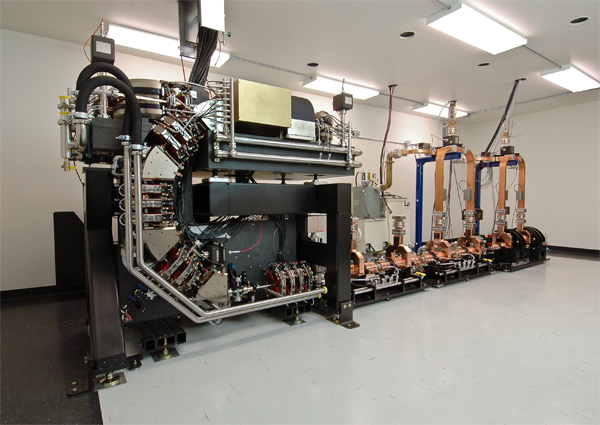 A synchrotron beamline for home laboratory applications. 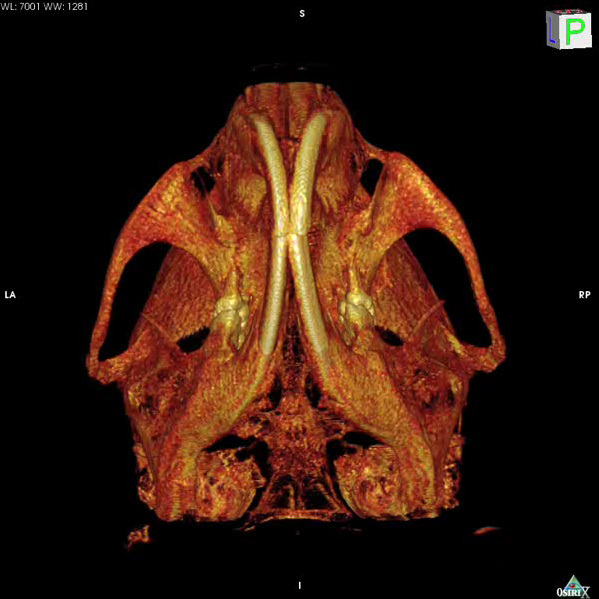 In 2010 the CLS performed an imaging experiment to create a 3-D tomographic image of the head of a mouse (below). Additional experiments have studied an array of soft tissue samples for medical research, ranging from characterizing eardrum structure to tumor detection. High resolution 3D rendering of a mouse head. The Lyncean CLS has screened and collected data sets on several proteins at X-ray energies ranging from 12 keV to 18 keV. Details of the CLS’s first diffraction dataset on a novel protein are in the published paper with the ATCG3D collaboration. 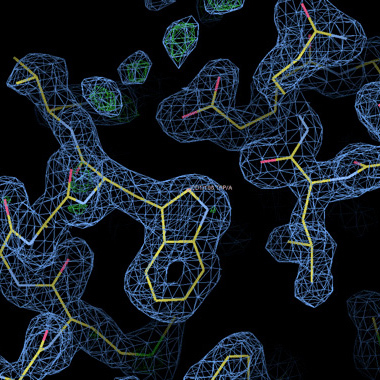 The protein structure was solved and published to the RCSB Protein Data Bank (3IFT). Electron density map from refined lysozyme model. The requirements for differential phase contrast imaging (DPCI) are extremely well matched to the characteristics of the X-ray beam from the CLS because DPCI can use the full bandwidth (few percent), native CLS beam without any X-ray optics. 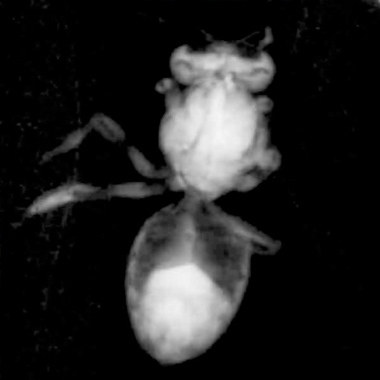 CLS phase contrast image of a bee. The latest development program at Lyncean Technologies is the Compact EUV Source (CES), an accelerator based 1 kW EUV lithography source. Much of the technology that will be developed for the CES is leveraged from the technology from the CLS. In addition, accelerator based sources generate light in a clean, high vacuum environment and are inherently very reliable, two features that make them ideal for high volume manufacturing. Details and updates about the Lyncean CES will be posted as they are made public. Be the first to know about Compact EUV news and updates.